You’d be surprised how many theatres there are in Chicago. 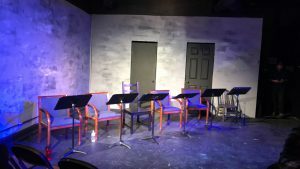 My friends from THTR 204: Playwriting and I started out the week with a reading of Emma Stanton’s When the Tsunami Knows Your Name at the Jackalope Theatre on the Thorndale redline stop. It was only ONE STOP away from my dorm! The reading was directed by our playwriting professor Devon De Mayo (so we got in for free haha) and served as part of one of our assignments for the course. 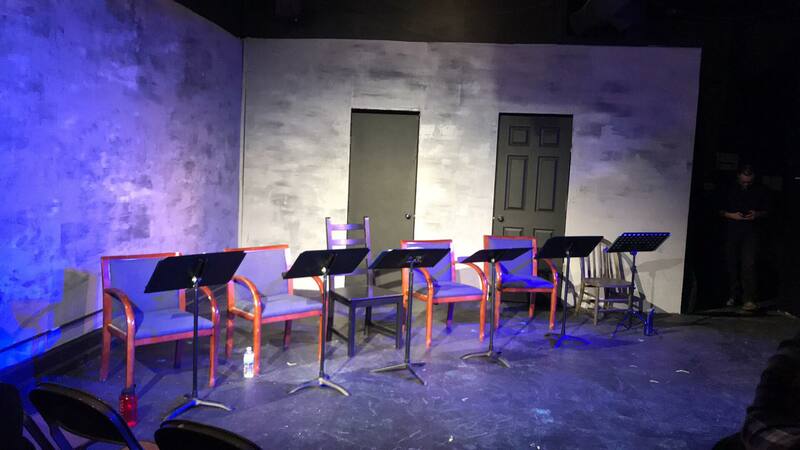 We have to see at least two play readings and write a viewing response for them. Frankly, I’m totally cool with that! Now, I would give you a more personal summary of it but I’m still too emotional – and well the above was beautiful said. But I was blown away. This was not only because the characters were prenominal and wonderfully casted, but because the theme and metaphors were very close to home. From my understanding the Tsunami represented a certain sadness that we all feel and how it can be so scary yet comforting. I thought intertwining this metaphor within the tsunami dance scenes of the play made the sensitive topic more approachable for the audience. And the intimate space of the Jackalope Theatre couldn’t have been a better place for this experience. I have another play reading left for this course, but my Chicago theatre adventures are definitely not stopping there!